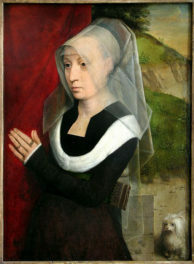 Most dogs are impeccably well behaved—in art, anyway. They sit quietly on laps, raise a paw for their beloved master, or contort themselves into perfect S curves. The king of Old Master dogs is Guercino’s heroic mastiff, who looks like he would sooner die than act like a 21st-century American pet, which is to say bark, jump, chase, snout, drool, pee on stuff, and steal the Thanksgiving turkey off the kitchen counter. 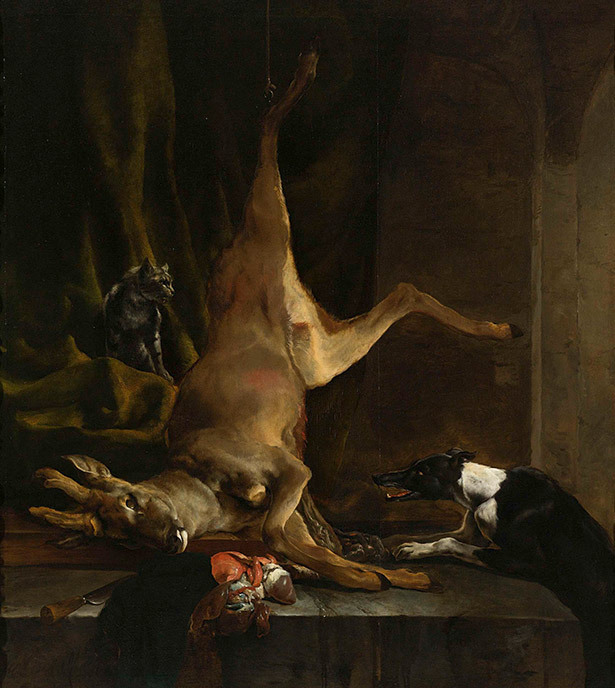 But art history is also full of dogs behaving badly…which, for the true dog lover, only adds to their appeal. Jumping up is fun because it startles people and, ideally, gets them all muddy. 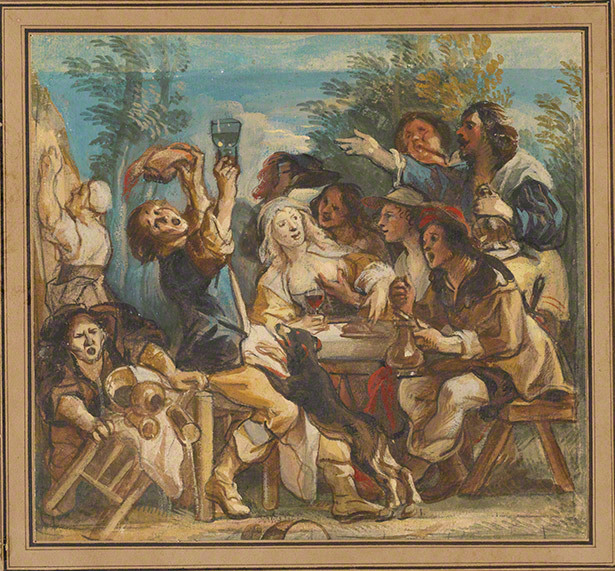 Here a good-natured dog leaps up on a loud drunkard who, with luck, just might topple backwards. Dutch peasant scenes like this one are rich in naughty dogs, though in fairness the animals are usually no naughtier than the peasants, who are also snouting, drooling, and peeing on stuff. Barking is also fun, because it scares horses, cats, toddlers, and rich people. 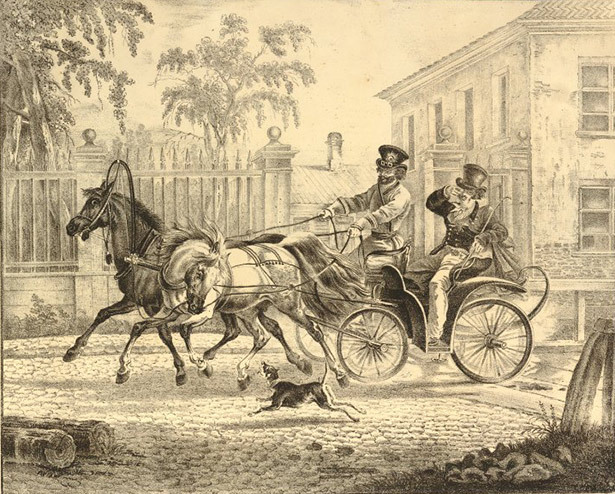 In this satirical print, a territorial dog unleashes yaps against a pair of overbred coach horses, who look like they might tip over the carriage and their effete masters to boot. Pulling means either that the lazy human isn’t walking fast enough, or that there’s a squirrel, rabbit, bird, cat, blowing leaf, or baby carriage that requires chasing. 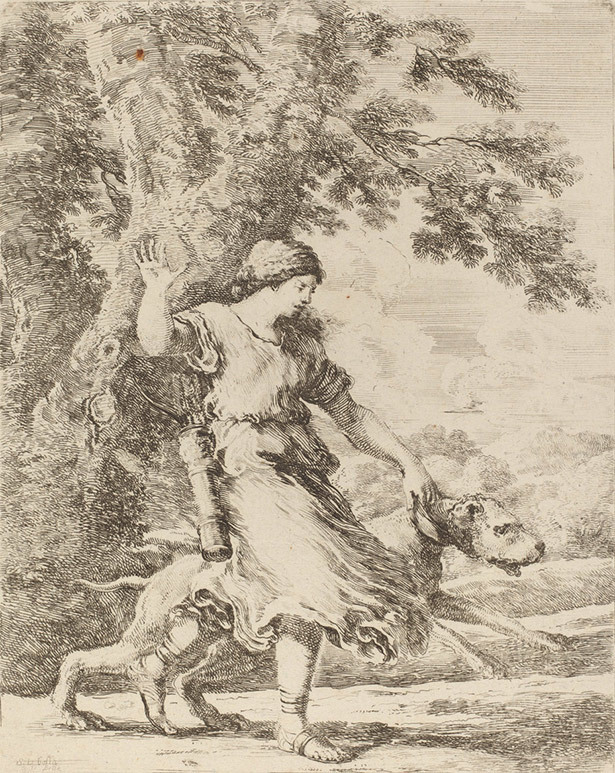 For this irritated-looking nymph, neither divine powers nor massive arm muscles are enough to restrain a giant hound who’s dying to break away and get on with the chase. Hogging is defined as occupying a prime spot, stinking it up, then refusing to budge. 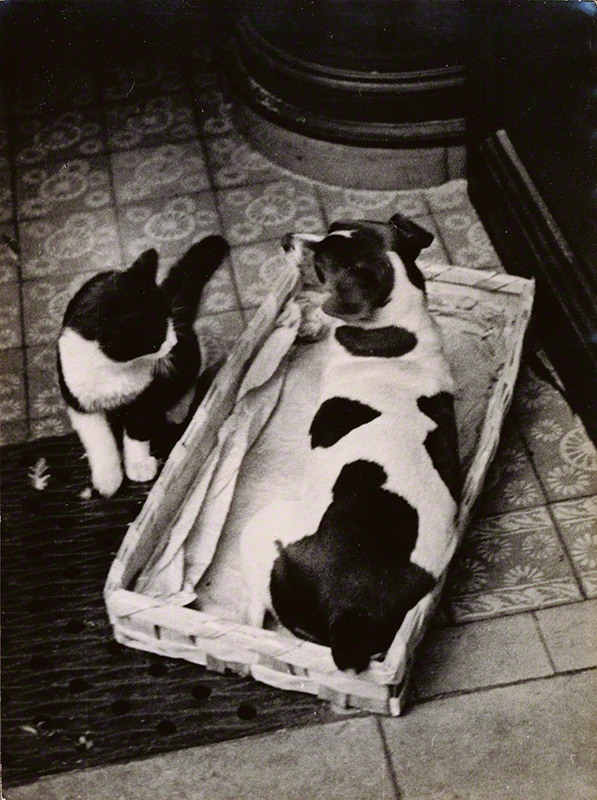 André Kertész, a great observer of animals, captured extreme hogging in a series of photographs of a dog and cat roughhousing for control of a basket. The basket is big enough for both, but the terrier stakes his claim by filling it as completely as possible. Food comes in two categories: “mine” and “just sitting there,” which is the same as “mine.” Here a dog and cat square off over a half-butchered deer (yum!) that has foolishly been left unsupervised. Though the cat has the high ground, the winner will clearly be the beast whose snout is closest to the prize. For more, sink your teeth into the Dogs in Art blog, which celebrates canines from prehistory to today.